Posted By:Unknown | At:1:28 PM Be the first to comment! 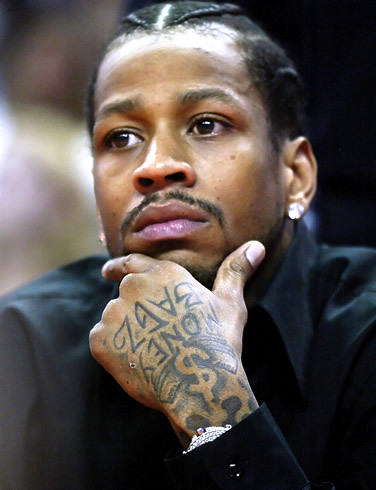 PHILADELPHIA — Unwanted by the NBA, Allen Iverson is considering playing in China. Gary Moore, Iverson's personal manager, says Iverson has not been contacted by any NBA team with training camps set to open in less than two weeks. Moore says there is "legitimate interest" between Iverson and a team in China to work out a deal. Moore did not know the team's name. Moore says a Chinese team first approached the 35-year-old Iverson last month. Iverson is 17th on the NBA's career scoring list with 24,368 points over a 14-year career with Philadelphia, Denver, Detroit and Memphis. He won the MVP in 2001 when he led the Sixers to the finals. Iverson's agent, Leon Rose, did not immediately return messages for comment on Monday.